Zesimdumise Ndwandwe Nxumalo, popularly known as Ze in corporate circles, does not have a rags-to-riches life story that has become an all too familiar narrative. He was born in northern Johannesburg and spent most of his life in Durban. His father is a professor and his mother a well-decorated academic. 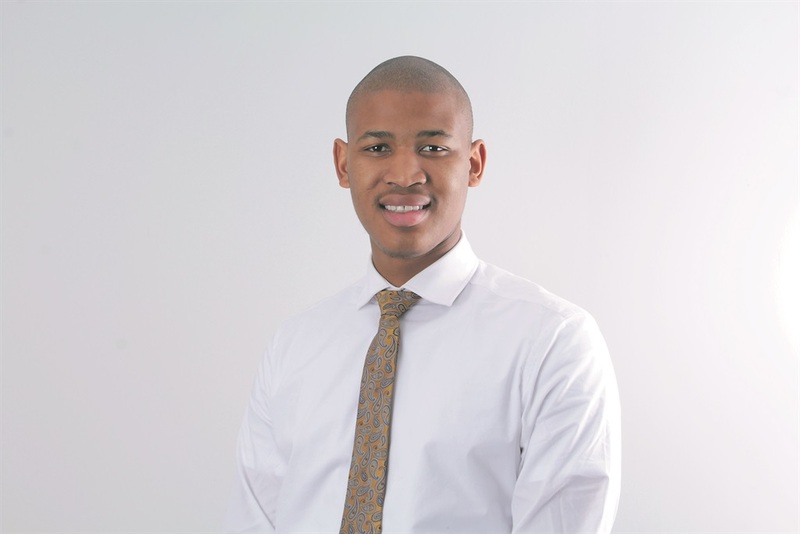 When City Press interviewed him, the 25-year-old corporate rising star did not hold back on how he is making a name for himself in some of the powerful boardrooms. Born into a family of seven siblings, Nxumalo was not left wanting while growing up. He went to private school, represented the country in swimming and had provincial colours for water polo. After matriculating at Kearsney College in 2010, he enrolled for a BA in law at the University of the Witwatersrand, and converted to a four-year law programme, bachelor of law, in his second year. “Most people I look up to studied law: Nelson Mandela, Patrice Motsepe, even our current president, Cyril Ramaphosa,” he said. While in his second year of study, his old friend and Olympic medallist Chad le Clos convinced him to return to swimming. He had stopped swimming shortly before matric because of a hectic academic schedule. “I used to swim with him. We swam for the same swimming club and he convinced me to come back,” he said. However, two years down the line, he called it quits. He was drawn into his first business venture a few months later. That venture was the ride-sharing app Uber, through which he learnt the basics of business. He approached a BMW dealership in KwaZulu-Natal and convinced them to lease him a car for use as an Uber cab. “I would manage the car and the driver on Uber while I was studying. I went from one car to four cars with eight drivers operating 24 hours a day before the end of the same year,” he said. When Uber started expanding and more innovations were introduced, Nxumalo said the profits dipped because the market became saturated. He equates his experiences with Uber to running a spaza shop, where the basic skills of business are needed. Within a year, he decided it was time to expand. That was when he joined the ANC’s Progressive Youth in Business as national head of sponsorship, a position that exposed him to the nitty-gritty of transactions and business deals. With the opportunities in business mounting, he broke the news to his academic parents that he wanted to stop studying to pursue business. He was approached to buy a 35% stake in the security company Ensure. Shortly after joining them, he was made its chief executive. “When I became the chief executive we had around 200 guards, but we managed to increase the number to a few hundred more. That was a major responsibility and I was able to execute the vision of the company,” he said. As head of the company, Nxumalo said he learnt many valuable lessons, including managing people. But pretty soon he was on his way out again. This time it was to concentrate on his own vision through his investment company, Zig Holdings. He uses the entity to house his various interests, including the 35% he still holds in Ensure, as well as consulting work he does for major corporates. With no extensive experience in marketing, human resources or any of the work on which he is called to consult, he admitted knowing the right people had a lot to do with his good fortune. “I believe it’s how you know people. I don’t want to call it a gift, but I knew how to sell myself to them,” he said. He has consulted for listed companies including Blue Label Telecoms and IT service management company EOH, and has found himself on the board of the investment company Richmark Holdings. He has been involved in advisory work on some of Cell C’s biggest campaigns. It was his work as an independent adviser to the Transaction Capital group and development finance outfit SA Taxi – where he was one of the lead negotiators – that resulted in his reputation spreading like wildfire. He became an empowerment partner with Transaction Capital in a new company called Transaction Capital Akwande, which specialises in debt collection. “Big listed companies want to work with people with big portfolios, but I think I am able to sell myself well and I made them believe in me,” he said about how he managed to get his foot in the door at large companies. He did not have big money backing nor an impressive academic CV to his name. He sits on the board of the SA Taxi Foundation and is co-owner, as an empowerment partner, in the outdoor media company Vibrant Outdoor. Nxumalo’s fast-paced career has not gone unnoticed, and he has been asked to join the board of the Princess Charlene of Monaco Foundation, an offer he said was an honour. “It was because of my swimming background, and they work a lot with that,” he said. With age on his side, Nxumalo is under no illusion that time waits for no man and, unlike many of his peers, he spends most of his time reading and is rarely found in front of a TV set.